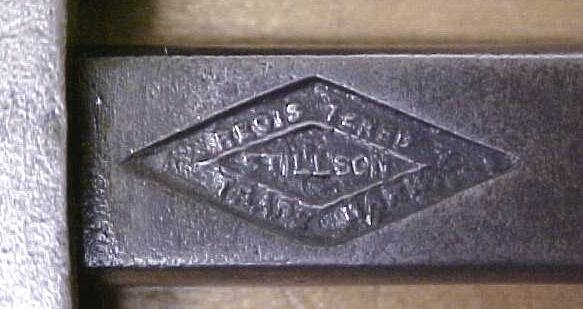 This is a Stillson wrench with the ""REGESTER STILLSON TRADE MARK WALWORTH MFG. CO. BOSTON, U.S.A." on one side, and is also marked "8" in several places on it. It measures about 7" long closed. This one is in very good useable condition with some steel chips and wear on the jaws teeth, mainly on the adjustable jaw, but enough teeth is there to use it on small pipe. The handle and the jaw at the end of the handle section are in good shape, good spring a good straight bar handle, not bent or cracked, also has a good useable adjustment nut/knurl. This size is becoming had to find in this nice condition. 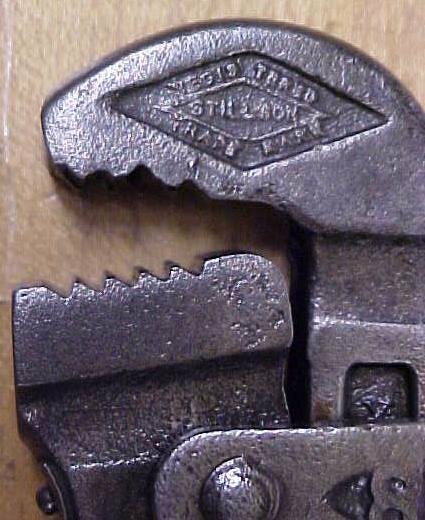 Items Similar To "Stillson Pipe Wrench 8 inch Adjustable"